DARPA is well known for their mad inventor-esque forays into robotics, but they are taking yet another fascinating-yet-scary step forward - bioengineered plants that can spy on you. Yep, you read that right. The Defense Advanced Research Projects Agency (DARPA) - part of the US Department of Defence who is working to develop new technology for the military - is planning to bioengineer plants for gathering intelligence. How are they going to do it? 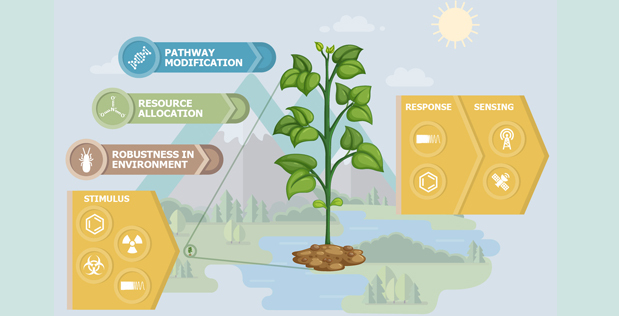 Well, in their new program, DARPA “envisions plants as discreet, self-sustaining sensors capable of reporting via remotely monitored, programmed responses to environmental stimuli.” Simply put, it’s not quite the “bug” in a potted plant, but rather threat-detecting vegetation. “Plants are highly attuned to their environments and naturally manifest physiological responses to basic stimuli such as light and temperature, but also in some cases to touch, chemicals, pests, and pathogens,” explained Blake Bextine, the DARPA Program Manager for APT. This is still very early days, not even at proof of concept yet. But what could the future hold for this? Sentient plants constantly monitoring the atmosphere for small changes and maintaining a potentially greener planet. At it’s worst, it could lead to 1984-esque foliage microphones, but the world isn’t a paranoid place to get to that point.